The 2018 Ford Mustang is now available to order in the UK from £36,645, with upgrades including the addition of an Active Exhaust for 2.3-litre Ecoboost models, and a powerful 1,000-Watt, 12-speaker B&O Play audio option for all models. The model year updates for the world’s best-selling coupe also include homologating both 2.3-litre four-cylinder and 5.0-litre V8 engines to the latest WLTP fuel economy standards. This has resulted in a slight dip in power for the Ecoboost engine – it now produces 290hp – but it is more efficient as a result. That’s despite the on-paper figures not reflecting this: 31.4mpg and 199g/km CO2 are little changed over before. 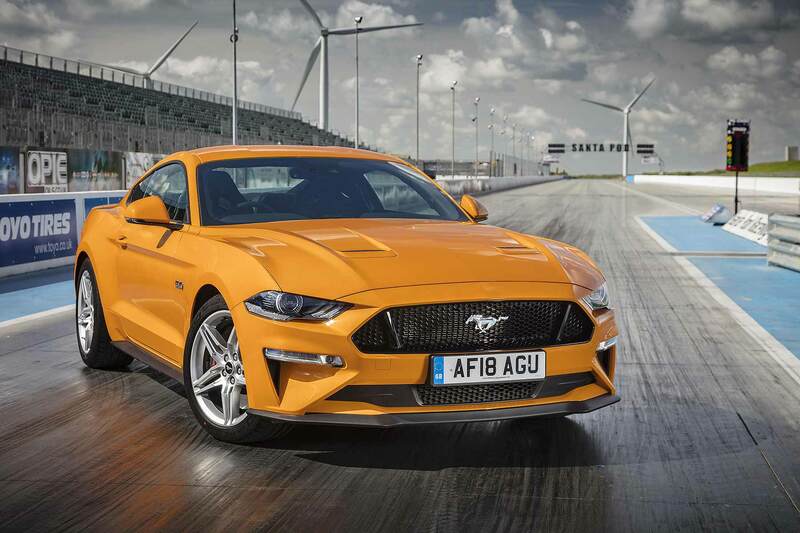 Ford Mustang UK product manager Chris Rushton told Motoring Research the car is more fuel-efficient in real-world use, despite the stricter fuel economy tests not reflecting this. Not that fuel economy will be foremost in the minds of Ecoboost buyers, who can now get the Active Exhaust already offered on the V8 GT. This is louder and rumblier, giving the smaller engine some of the aural impact it previously lacked. The V8, meanwhile, gains quad exhaust tail pipes; all Mustangs feature revised daytime running light LEDs and two new colour choices, Velocity Blue and Need for Green. There are more ‘Custom Pack’ options as well, so Mustang buyers can better tailor their cars. Can you drive your car after an MOT fail if the old test hasn’t expired?